Beautiful farm is located in the area of Alto Alentejo, on the outskirts of Amieira. Unique place offers excellent hunting grounds with deer and wild boars. Hunting is a traditional activity in the region of Alentejo and attracts every year all hunting lovers from Europe. With its 476 ha of land – habitation area totally of 1.104 m2 with the main house, the secondary house (built in 1950) and office this farm offers a great opportunity for extraordinary tourist commercial activity and agricultural business. 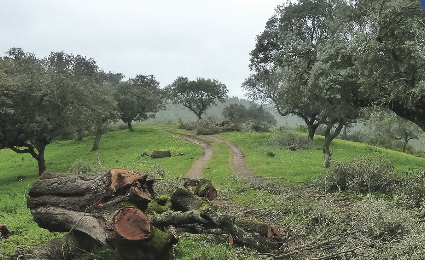 Agricultural area includes three warehouses of 1.080 m2, 2,5 ha olive grove, 2,5 ha vineyard, oak grove, 350 m2 of sheepfold, two own boreholes, seven dams. 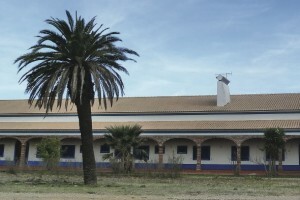 Farm is located 195 km from Lisbon.